Hugues de Chaunac’s ORECA announced today that the team will race a Saleen S7R in the 2006 FFSA GT Championship, for Soheil Ayari and Bruno Hernandez – writes Claude Foubert. Ayari and Hernandez were partners last year at the wheel of the Team ANAVEO Sport SRT Corvette C5-R. 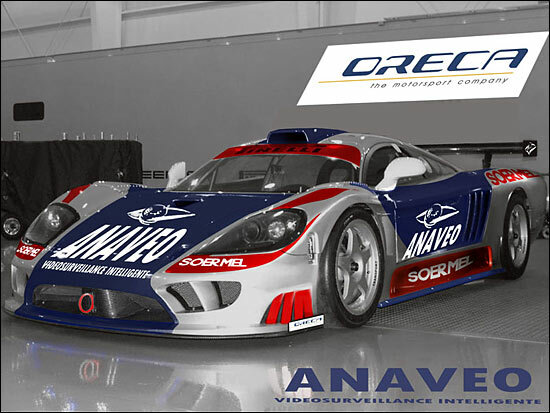 The Saleen will be in the white and and blue livery of the sponsors, ANAVEO and SOERMEL, which have followed Ayari and Hernandez in the past. Soheil Ayari has already raced for ORECA in the Formula 3000 Championship - and at Le Mans, in 1999, with a Chrysler Viper.